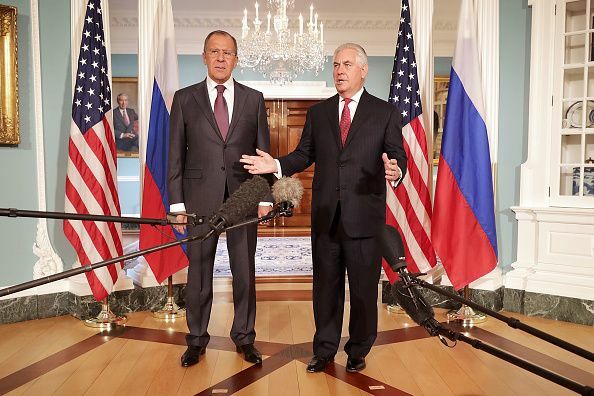 "A new era of peace and friendship has been opened,” an agreement read. 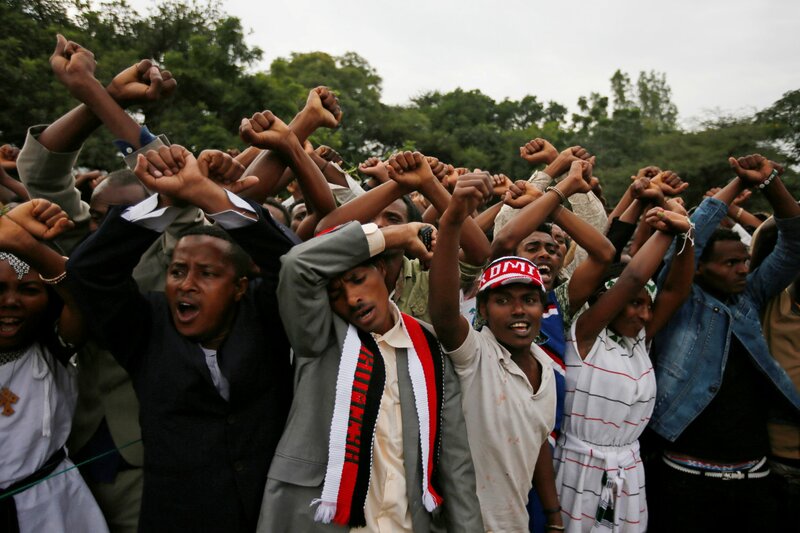 “You need to stop doing this," Ethiopia's new PM tells attackers. You weren't successful in the past and you won't be successful in the future." 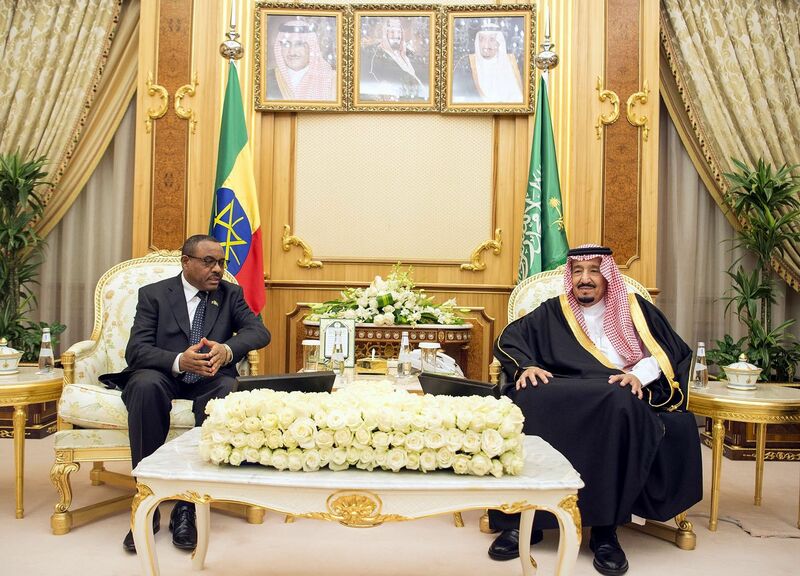 Ethiopia was awkward for the secretary of state. Opposition activists said hundreds were killed in a stampede allegedly provoked by security forces at the Irreecha festival in 2016. 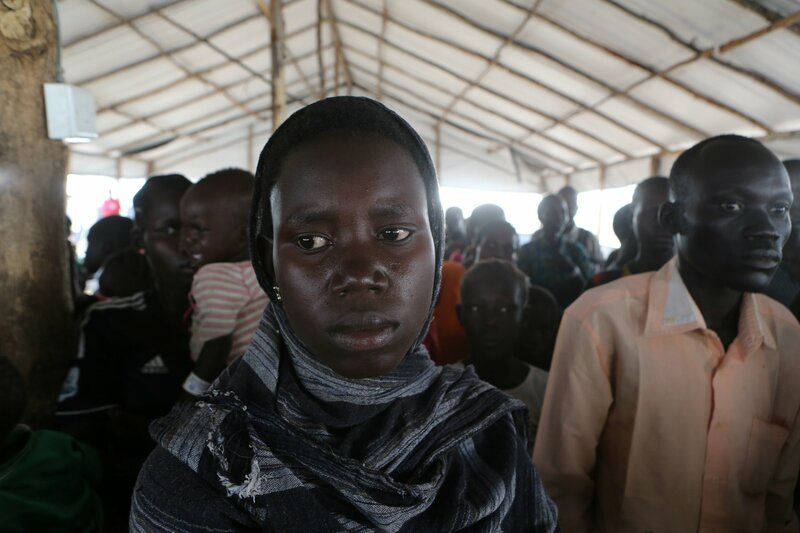 Clashes on the border between Ethiopia’s two biggest regions have killed at least 50 and displaced more than 50,000 in the past week. 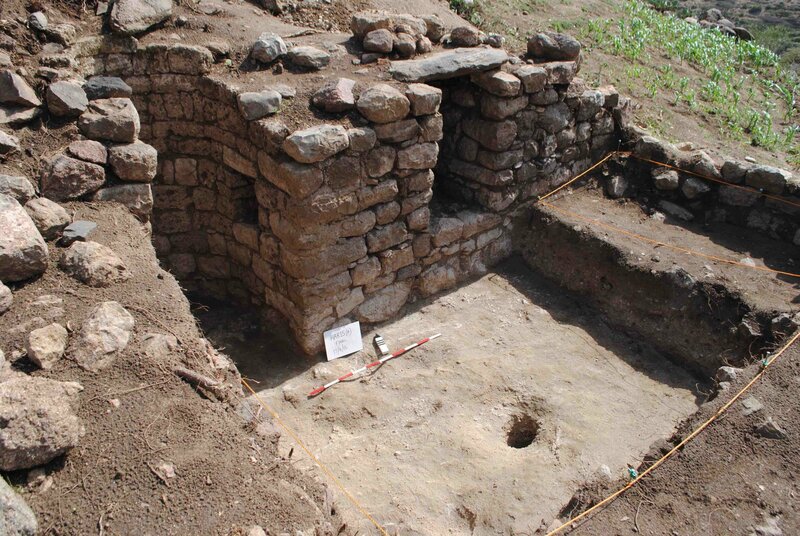 Artifacts from China and India were also discovered in eastern Ethiopia, suggesting it functioned as a foreign-trade hub. 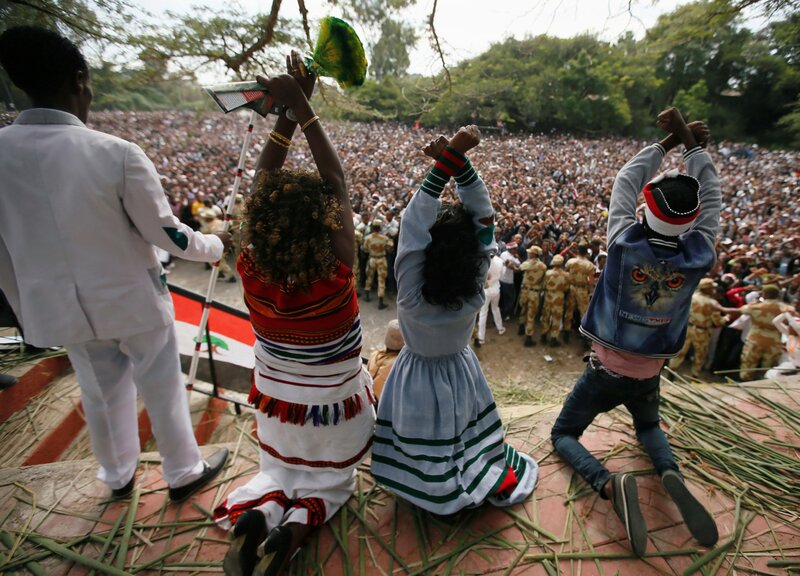 Eritrea, dubbed Africa’s North Korea, fought a border war with Ethiopia in the late 1990s in which 70,000 people died. 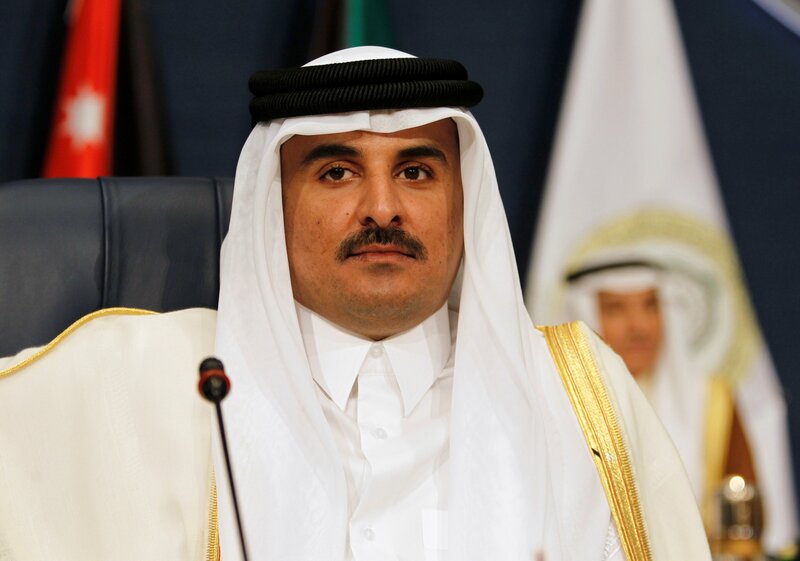 The pariah state severed ties with Qatar on Monday. 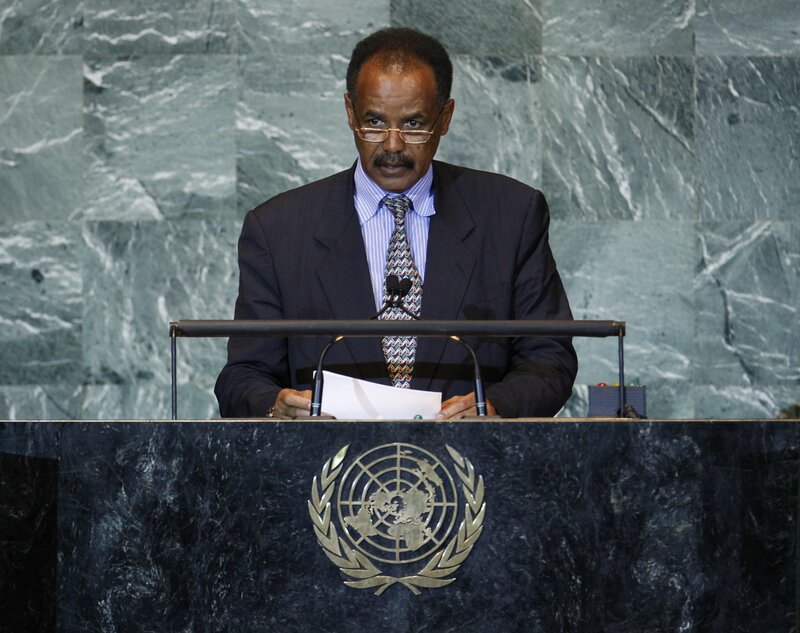 In response, Qatar has pulled troops from the Eritrea-Djibouti border. 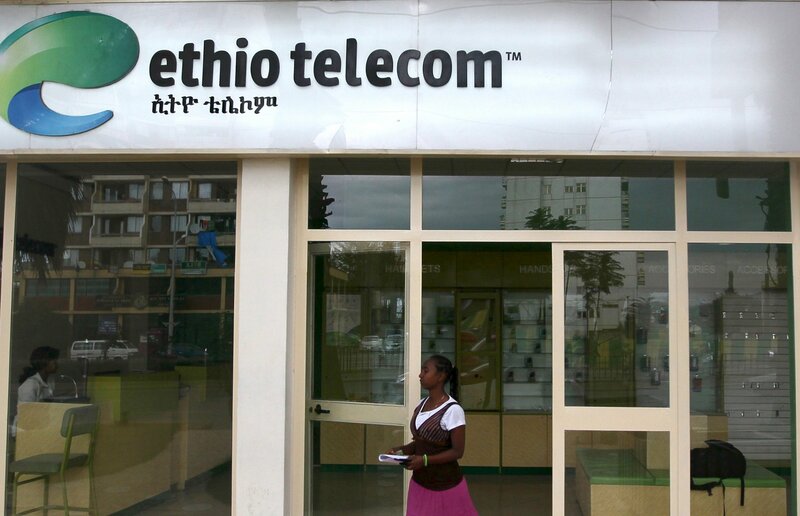 The Ethiopian government has pulled internet access multiple times in recent years. This time, fears of exam leaks might be behind it. 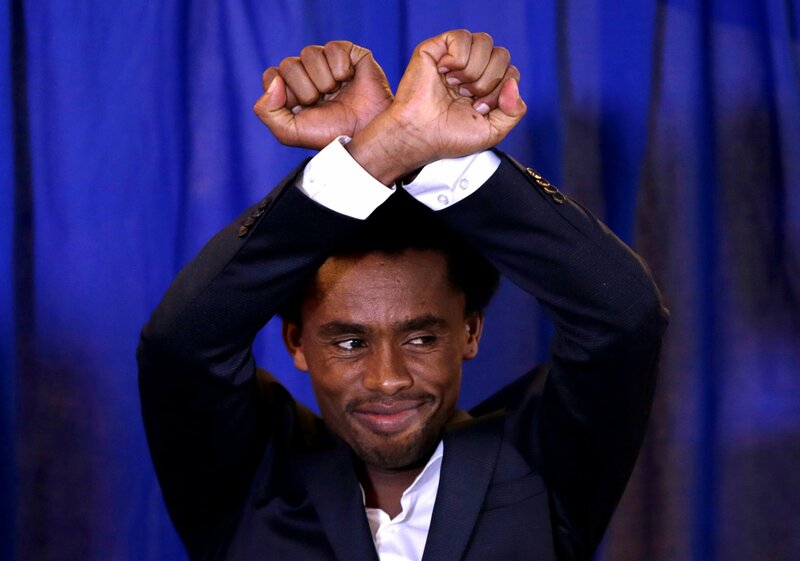 Lilesa has been living in the U.S. since he staged a protest against his government at the Rio 2016 Olympics. 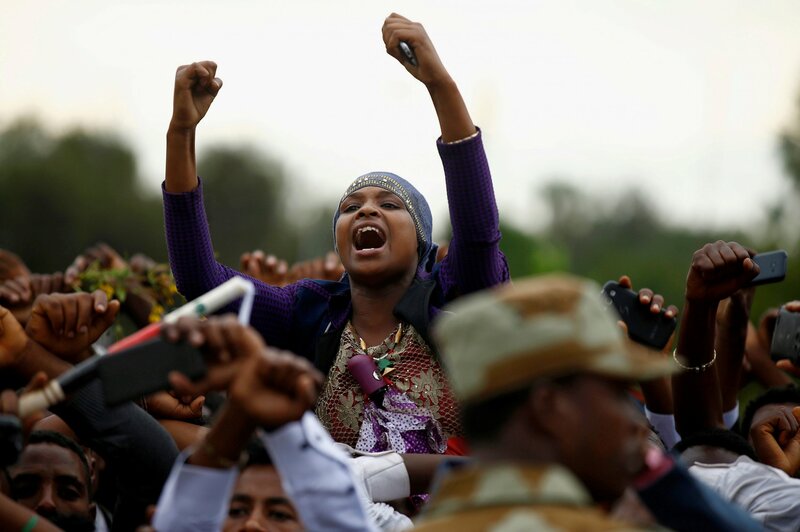 Rights groups have accused Ethiopian security forces of opening fire on protesters, killing hundreds. 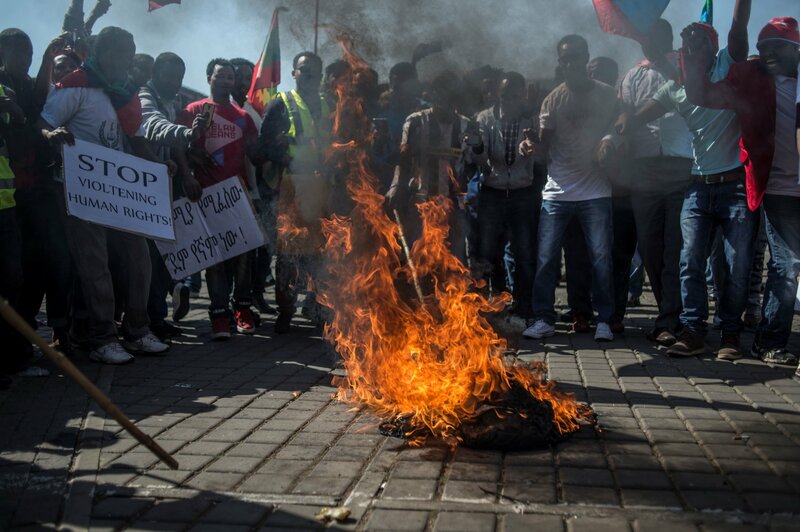 Feyisa Lilesa has condemned a government crackdown on protesters in Ethiopia, which allegedly caused hundreds of deaths. The landslide at the capital’s only landfill site destroyed dozens of homes. 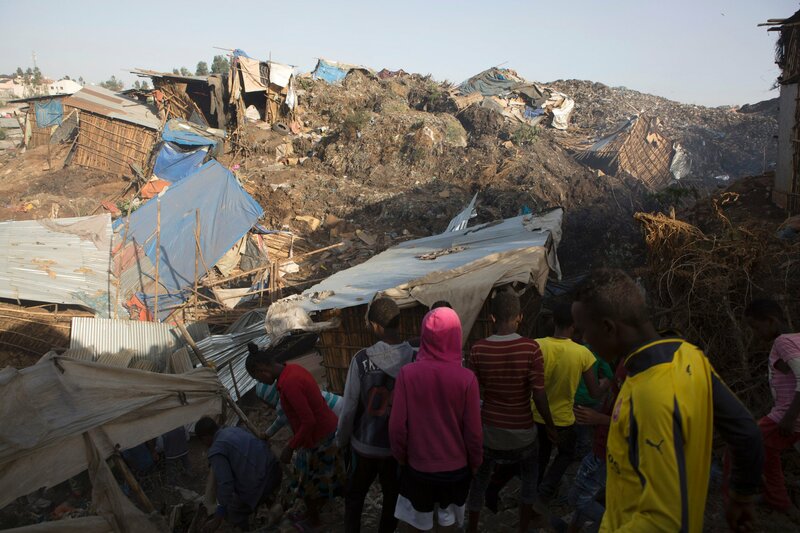 The dump is the only landfill site in Addis Ababa, a city with more than 3 million people. 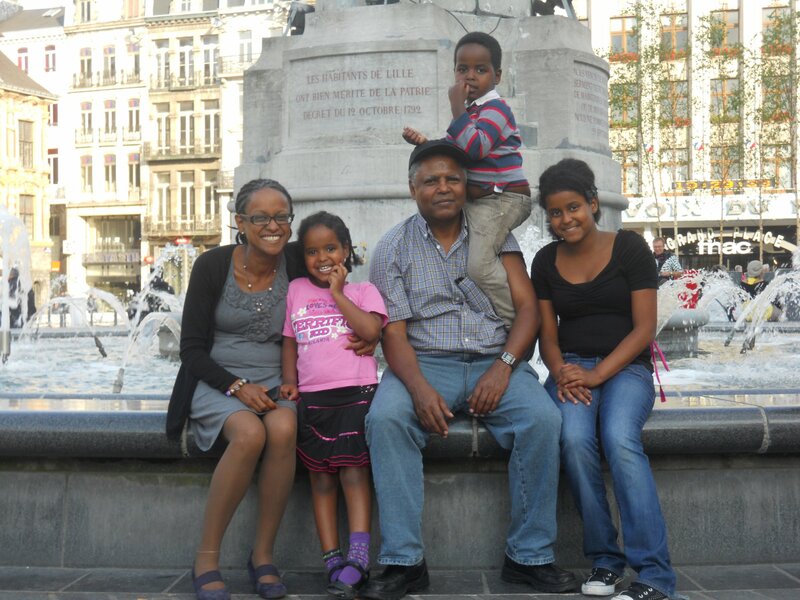 Will British Man on Ethiopia's Death Row Walk Free? 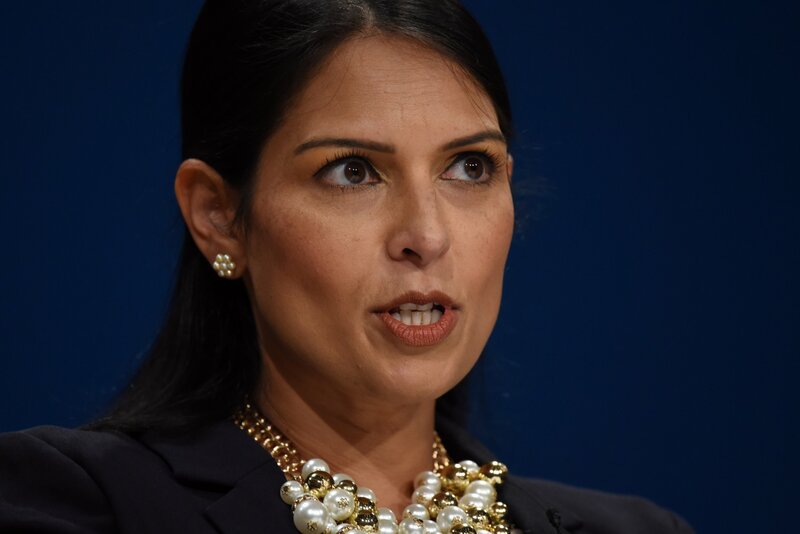 “I think Boris Johnson’s response to this situation is bizarre and inexplicable,” a senior legal official tells Newsweek. 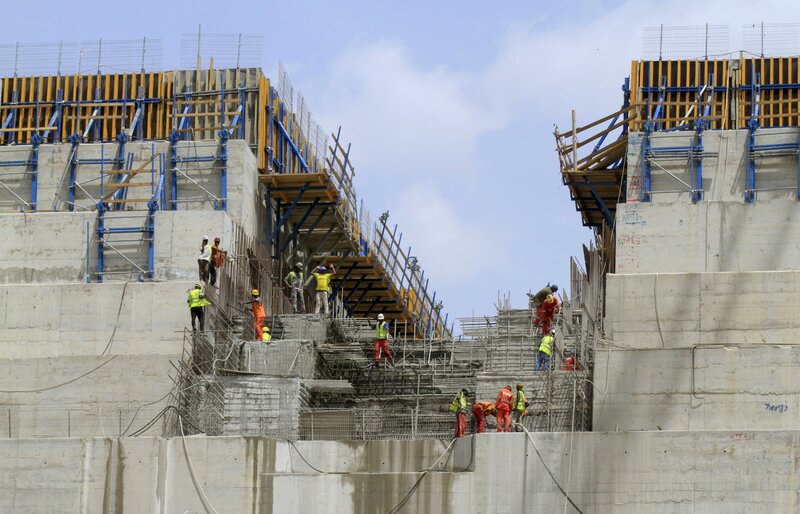 The Grand Ethiopian Renaissance Dam will be the biggest of its kind in Africa. 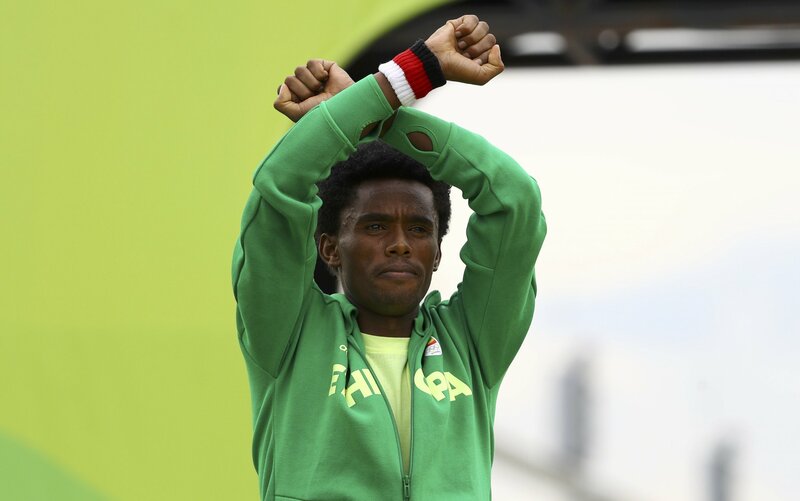 Ethiopia’s Protest Athlete Reunited With Family in U.S.
Feyisa Lilesa publicly backed anti-government protesters at the Rio 2016 Olympics. 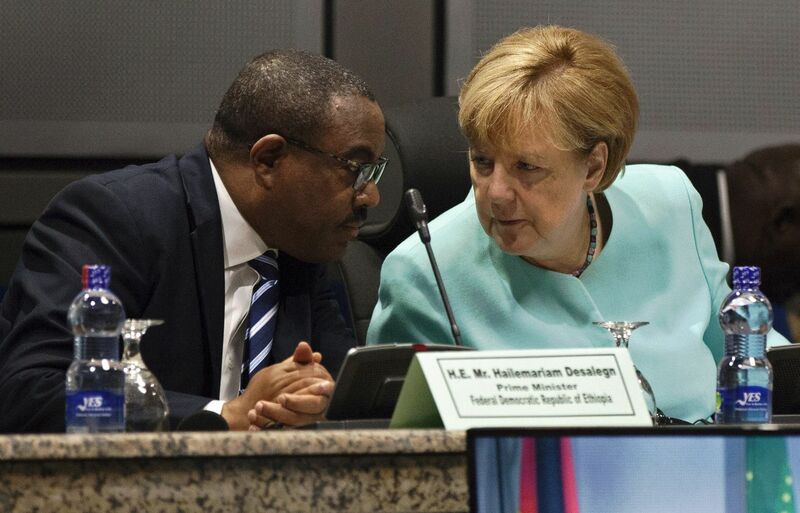 Political change, separatist insurgencies and a possible genocide project a tough year for the continent. All-female pop group Yegna were granted funds to build a media platform online. 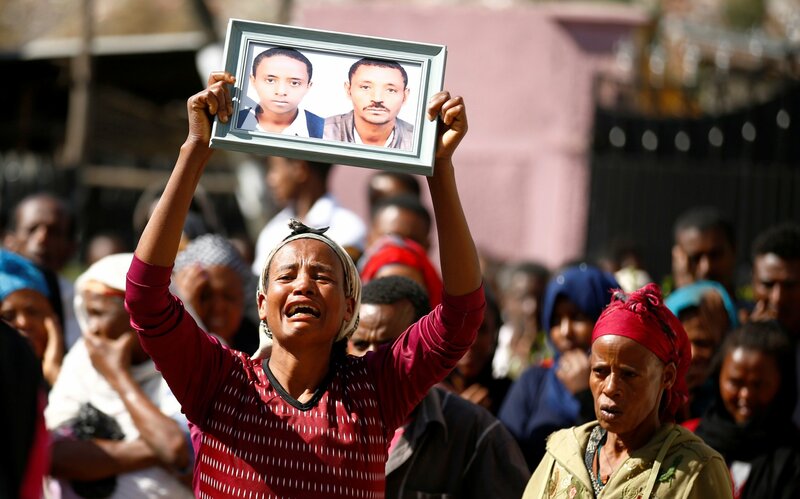 The government said 23 people died in the fire at a prison housing dissidents in September. 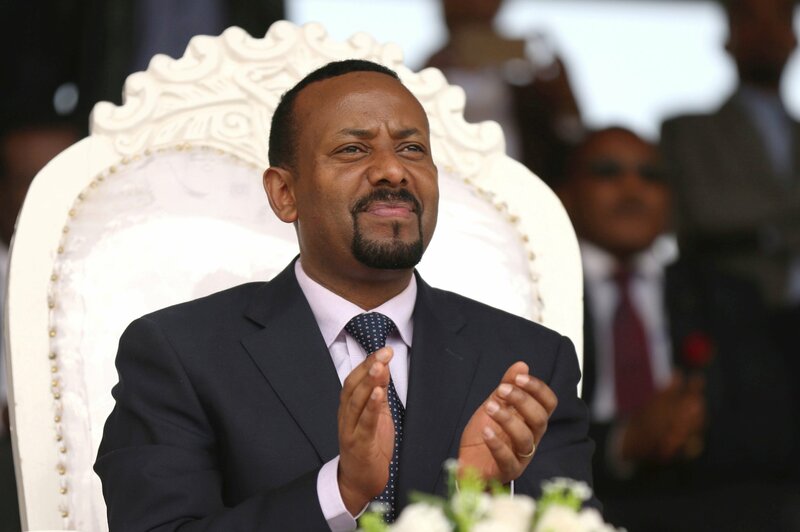 Ethiopia’s prime minister has reshuffled his cabinet, but it’s unlikely to quell widespread anger. The state of emergency is meant to crack down on anti-government rhetoric. 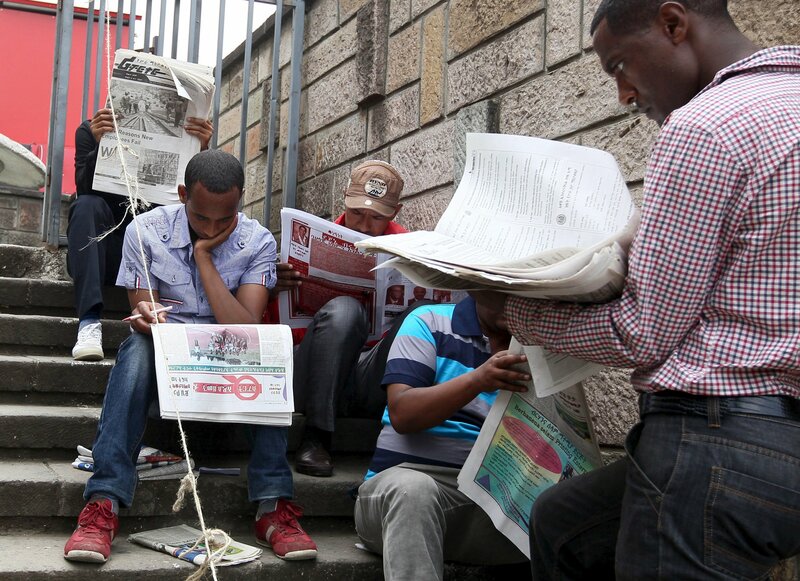 Vendors are too scared to sell the "Addis Standard," its editor said. 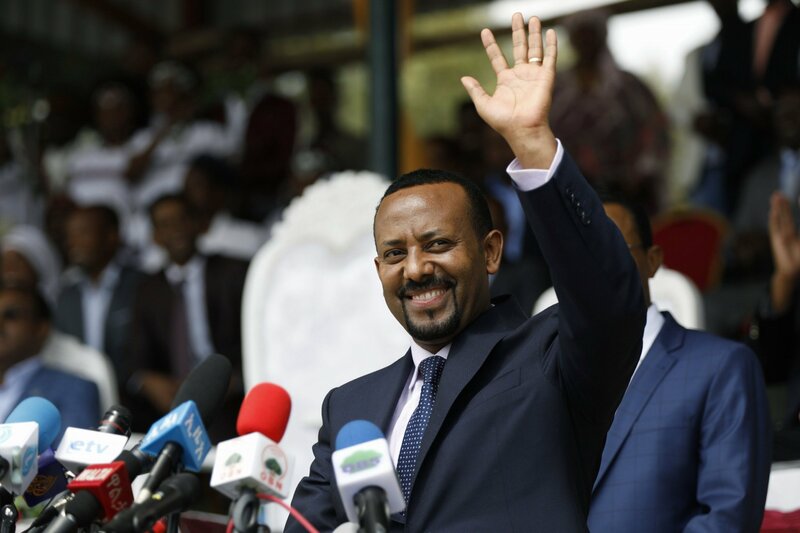 The ruling coalition controls all 524 seats in Ethiopia’s parliament. 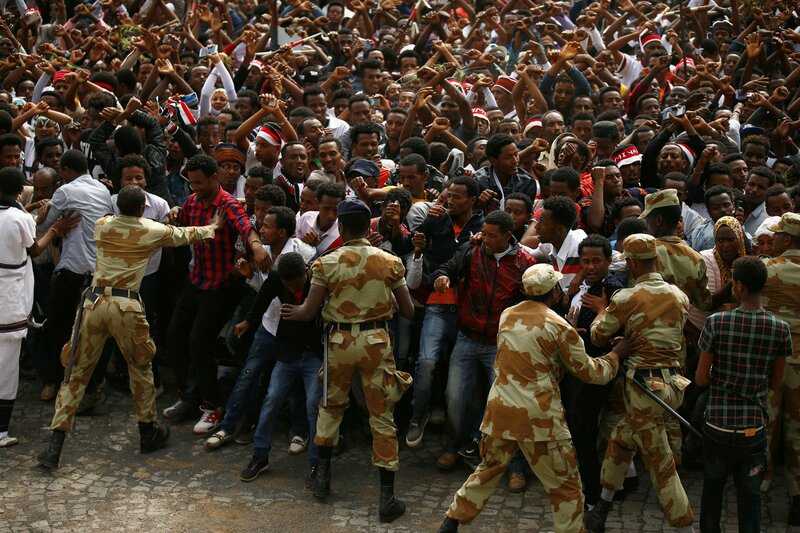 Protesters have blamed security forces for deaths at a religious festival Sunday. 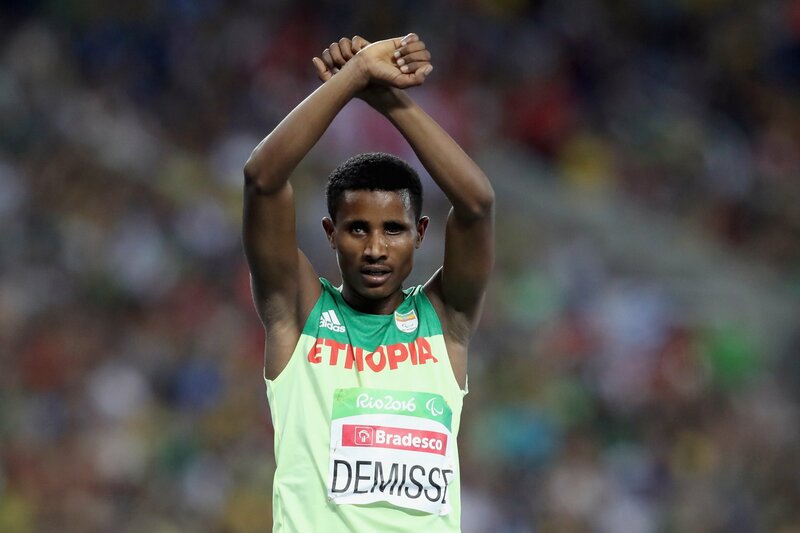 Tamiru Demisse followed Olympic counterpart Feyisa Lilesa in making anti-government gesture. 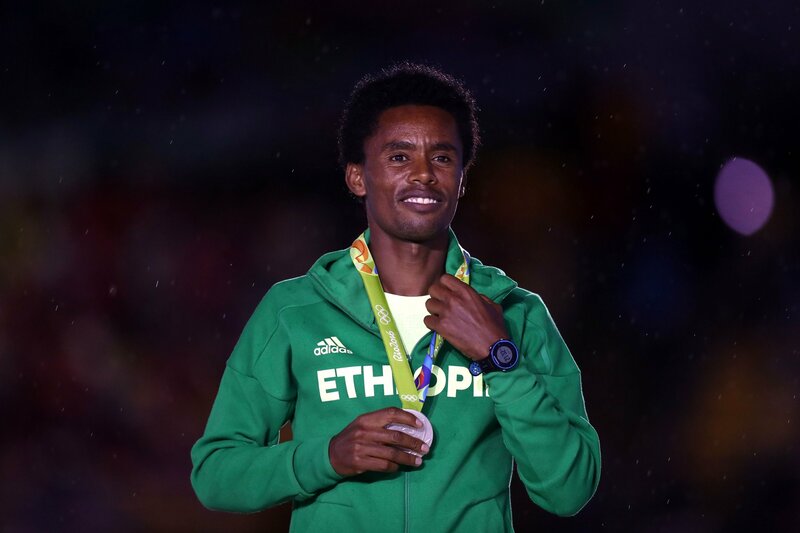 Ethiopian Olympian Feyisa Lilesa Arrives in the U.S. 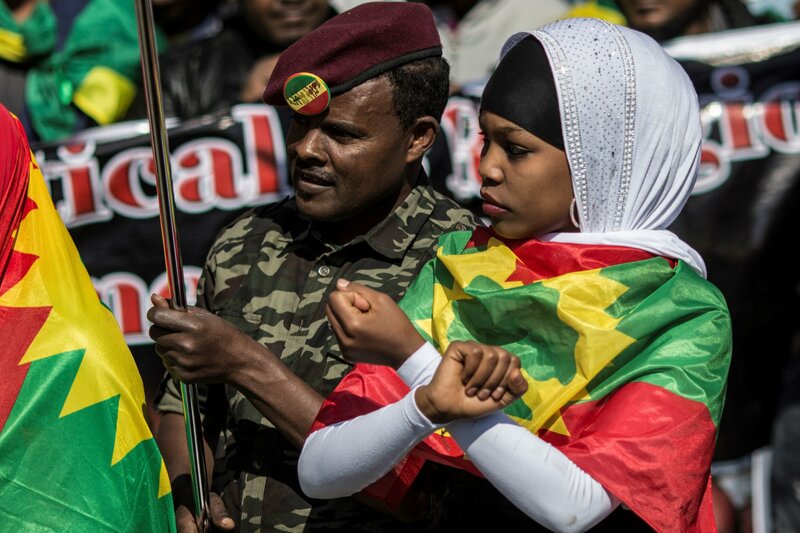 The marathon runner said he would be killed if he returned to Ethiopia after an anti-government gesture. 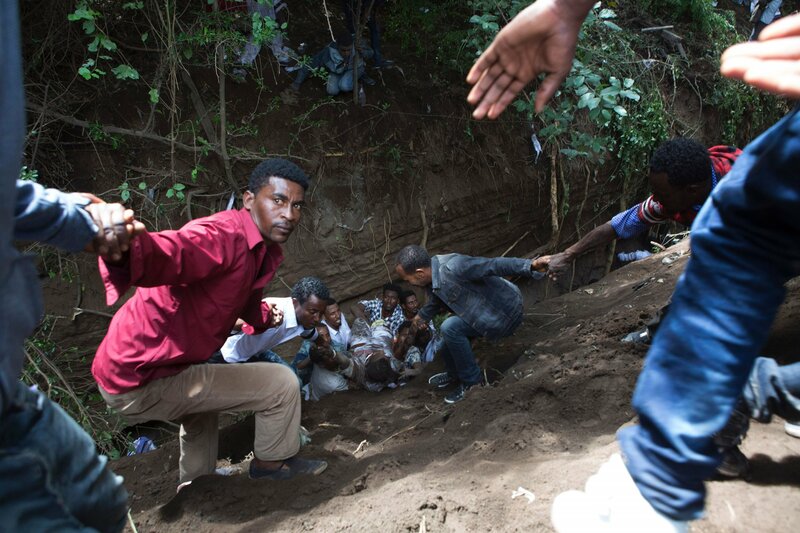 The government said a stampede and suffocation caused the deaths at Kilinto prison.